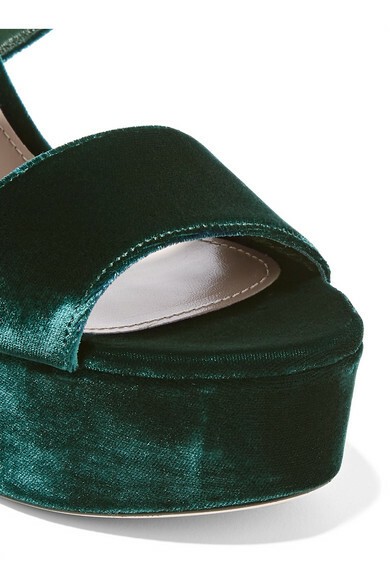 Prada's signature platform sandals are updated in a rich emerald hue for the new season. 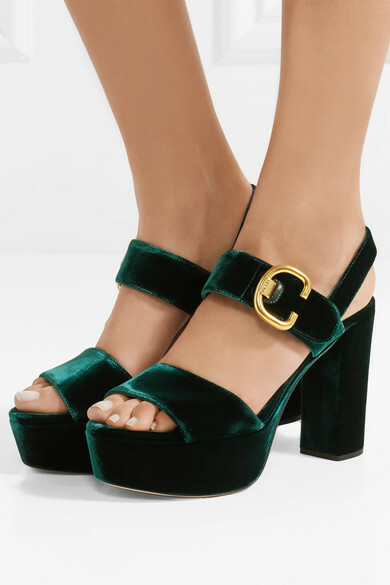 Crafted from plush velvet, this retro-inspired pair has a simple footstrap and chunky block heel that's balanced by a 40mm platform. Wear yours with a midi dress or cropped jeans. 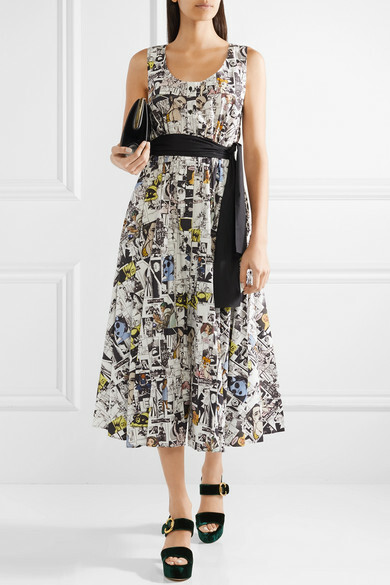 Shown here with: Prada Dress, Prada Shoulder bag.